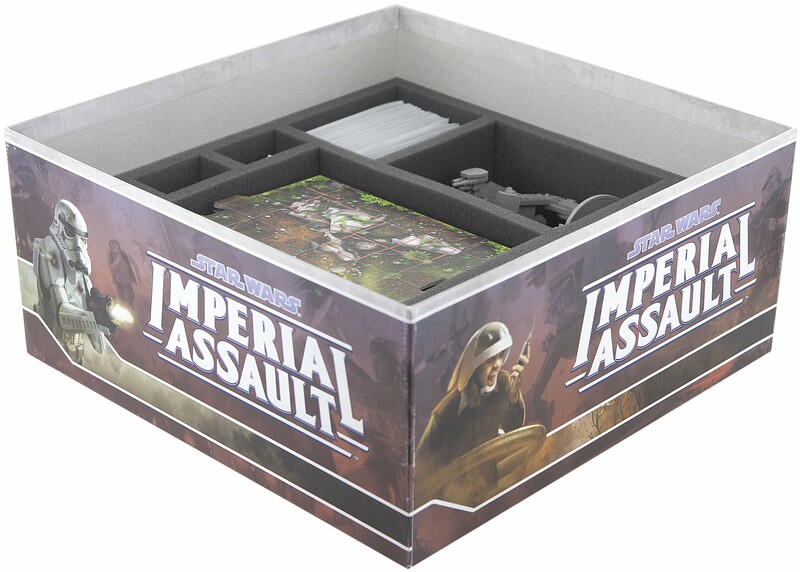 This foam insert fits perfectly into the original Star Wars Imperial Assault board games box. In 10 slots fit model of AT-ST, the floor tiles, cards, marker and token. All game miniatures are clearly laid out and padded stored. 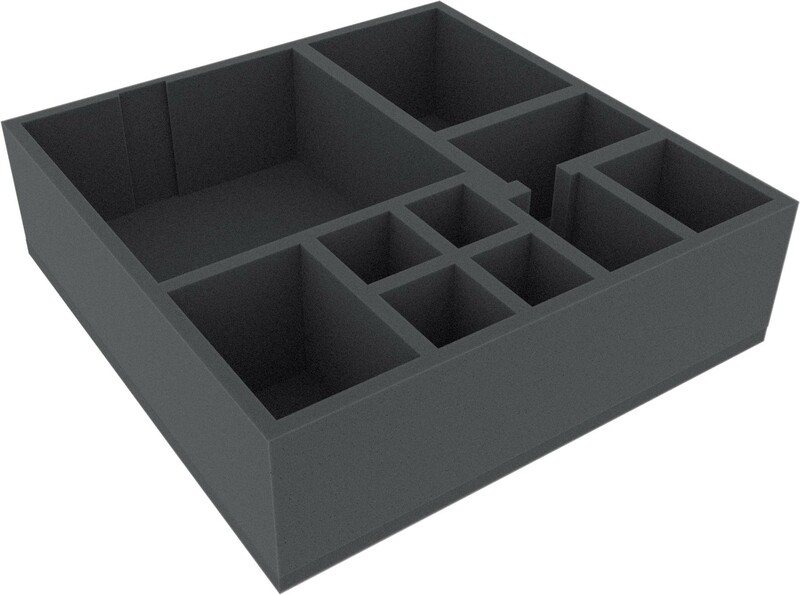 Dimension for this board game foam tray is 285 mm x 285 mm x 85 mm. The 85 mm thickness is the result from 10 mm base and tray with 75 mm effective usable height. Ready to use - glued 10 mm foam base. Note! 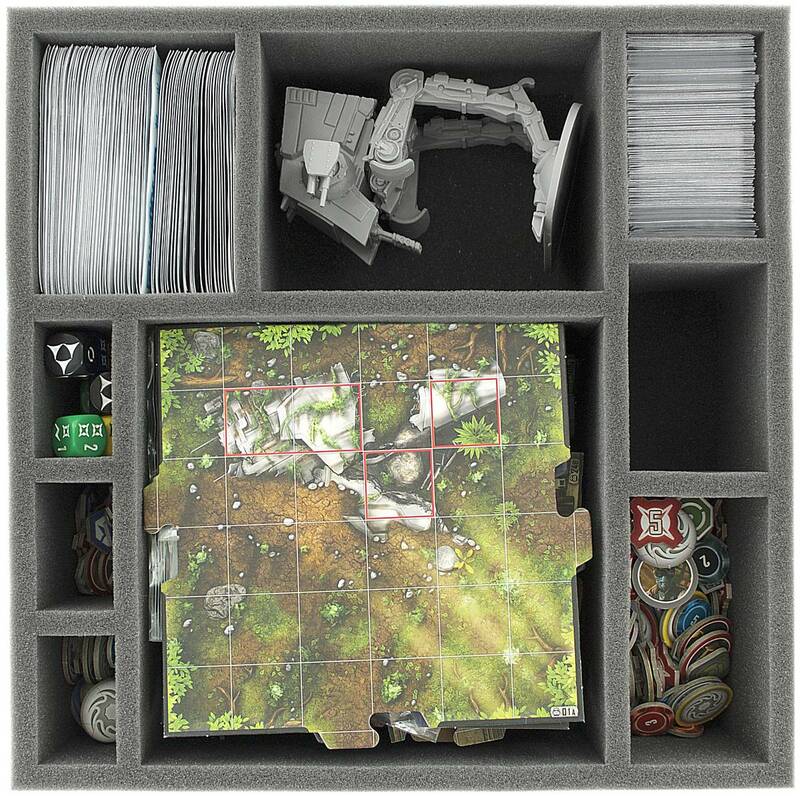 To store all miniatures from this board game box you need a second, littel small foam tray (item number AF050IA07 ). These other foam tray is for rebels and the smaller imperial miniatures (Storm Trooper, Drones, Darth Vader, Jedi, Nexu, ...).